Schwartz & Wade, 9780553497106, 40pp. Michelle Edwards is the author of numerous picture books, including Chicken Man, winner of the National Jewish Book Award; Max Makes a Cake, illustrated by Charles Santoso; and Room for the Baby, illustrated by Jana Christy. 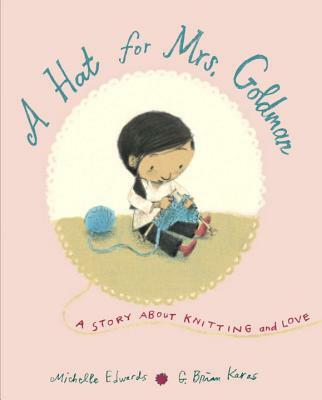 A lifelong knitter, Michelle has also written an adult title, A Knitter’s Home Companion. She lives in Iowa City, Iowa, where she and her husband share a house full of books and yarn. Learn more at michelledwards.com. G. Brian Karas has illustrated many award-winning books for children, including How Many Seeds in a Pumpkin? by Margaret McNamara, Lemonade in Winter by Emily Jenkins, Neville by Norton Juster, Clever Jack Takes the Cake by Candace Fleming, and Are You Going to Be Good? by Cari Best, a New York Times Best Illustrated Children’s Book of the Year. He lives in New York’s Hudson Valley. Visit him at gbriankaras.com.